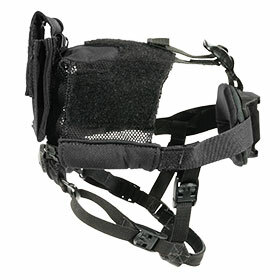 Our new Skull Lock™ head mount lite is flexible, comprised entirely of fabric straps, lending comfort and versatility to usage and storage. 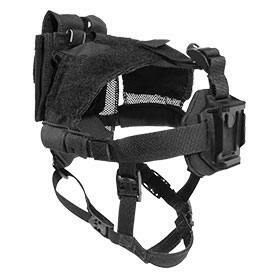 The harness fully integrates with the complete L4 line of NVG mounts offering you the versatility of a helmet mounting solution without the added weight of a ballistic helmet. The system features a weight storage basket on the back that accommodates a shot bag to provide NVG weight distribution. To prevent the loss of NVGs, the Wilcox NVG lanyard is part of this full system solution. 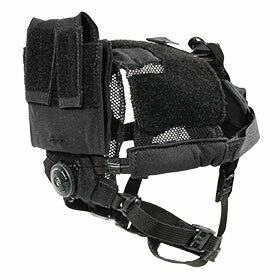 Partnering with Team Wendy®, Wilcox is pleased to offer this harness with their custom comfort pads and CAM-FIT™ Retention System that conforms to your head with the turn of the Boa® dial.